Last week, we attended Employee Benefits Live 2018 with 2,500 others from the benefits and reward and recognition industry. 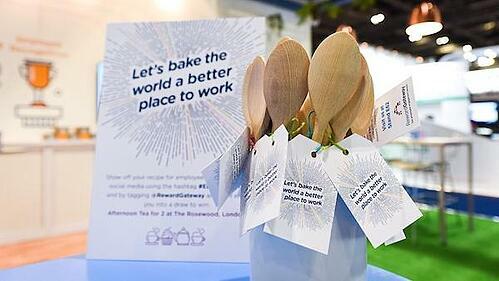 This year, we decided to go with the theme of “Let’s Bake the World a Better Place to Work.” Curious what baking has to do with employee engagement? Just as a cake isn’t complete without the right amount of specific ingredients, neither is your employee engagement strategy. To truly understand what attendees were looking to learn or focus on in the upcoming year, we asked them one question: What is your biggest HR priority for 2019? 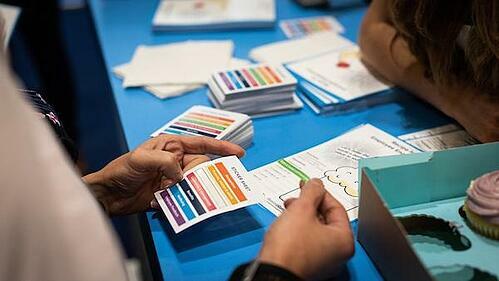 The list included employee recognition, wellbeing, job design, pay and benefits and more. Take a look at the infographic below to gain insight on the top HR trends for next year. These results are a testament to the ongoing investment in employee recognition and why it remains a top priority for organisations who want to stay ahead of the curve and truly attract, retain and engage their people. 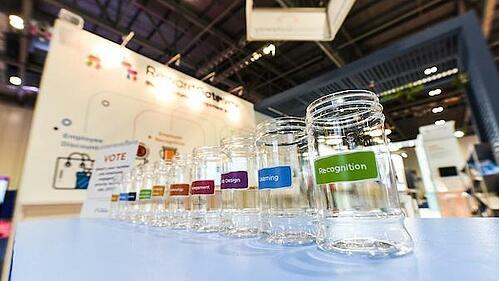 Along with the survey, we also held two competitions at EB Live with different prizes. 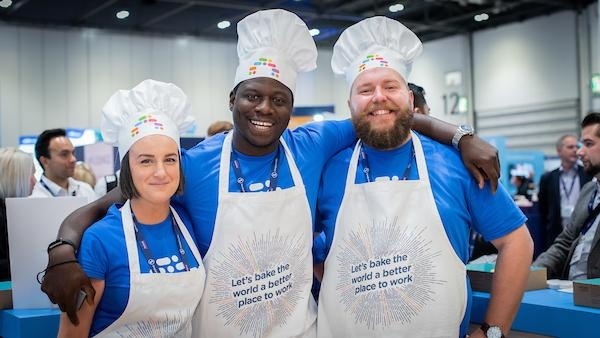 On the first day, we we created a recipe for engagement success by “baking the world a better place to work.” Debra Corey, Group Reward Director at Reward Gateway, spoke with Marcus Lamont, Group HRD at NAHL Group plc. The session uncovers the secret to attracting, retaining and engaging your workforce. Hint? It’s not all about the money, rather employees crave meaningful, timely recognition to feel motivated and appreciated at work. After attending the keynote session, visitors who stopped by RG’s booth were greeted by RG Bakers (appropriately dressed in aprons and chef hats) who then encouraged them to start making their own “engagement cake” by prioritising each Bridge™ element on the sheet. The key to crafting the perfect employee engagement cake is choosing the right mix of ingredients to make it unique to your organisation’s needs. 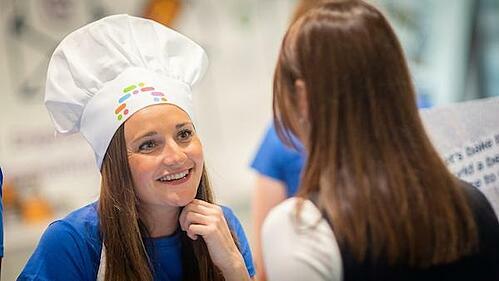 And when attendees finished up their own unique recipes, what did they get? A cupcake, of course! In order to enter the competition, attendees had to share their recipe card on social and were then entered in to win afternoon tea for two at the Rosewood in London. 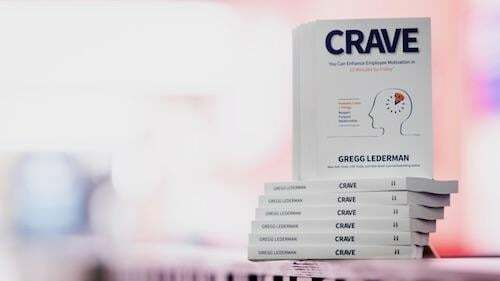 Last week, President of Engagement at Reward Gateway, Gregg Lederman, launched his new book called, "CRAVE: You Can Enhance Employee Motivation in 10 Minutes by Friday™." In his book, Gregg discusses the three things all employees crave in order to be more motivated and engaged in the workplace. By giving up 10 minutes of another activity each week and focussing on strategic recognition, we can start making the work a better place to work. In honour of this, the second day at EB Live was all about making and breaking habits in 10 minutes. Attendees came to our booth and pledged to giving up 10 minutes of something they could definitely be doing less of – like bingeing Netflix, hitting the snooze button, or going on social media. In exchange for giving up these 10 minutes, people pledged to spend 10 minutes on strategic recognition per week and enhance employee motivation. To enter the competition, visitors snapped a picture of their pledge and share it on social media. The prize? Winning an exclusive workshop with Debra Corey! Baking the world a better place to work is a job that’s never done – there are always tweaks to our recipes and ingredients to refine or swap out. But your “engagement cake” will never have a chance to be baked unless you start adding in the right ingredients for your organisation. Take some time to question what your top HR priorities will be in 2019 (maybe while enjoying a delicious cupcake) and how you can create the recipe for success at your organisation. Lastly, if you're looking to find your right mix of ingredients, don't hesitate to send us a message to see if we can help.